John Cena defeated AJ Styles in the main event of Tuesday night’s episode of SmackDown Live from the Staples Center. 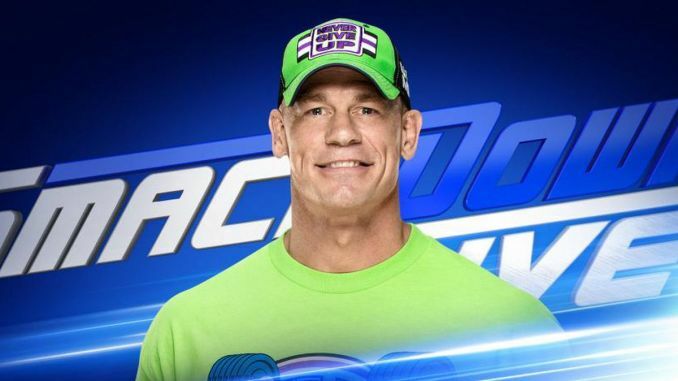 The outcome of the non-title match sets up Cena being added to the WWE title match at Fastlane on Sunday, March 11th in Columbus, Ohio at the Nationwide Arena. The new main event of Fastlane will now feature Styles defending the WWE title against Cena, Kevin Owens, Sami Zayn, Dolph Ziggler, and Baron Corbin.